Optimized distribution of the feed into the riser ducts of cement kilns is a key factor for optimized heat exchange and thermal efficiency of the pyroprocess. 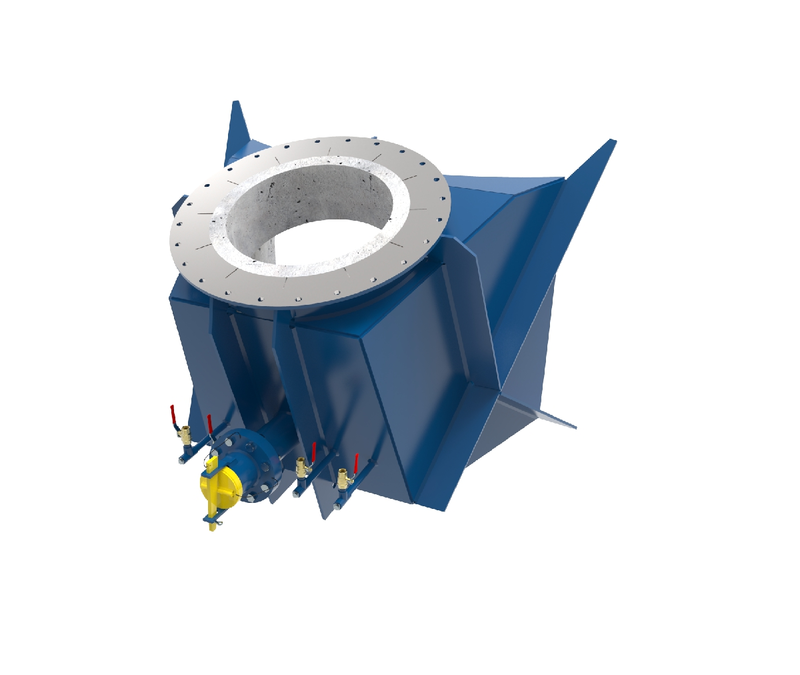 The engineering team of A TEC has designed a special SPLASH BOX to avoid a poor degree of calcination of the raw material, high exit temperature at the preheater top stage and consequently higher specific energy consumption (kcal/ kg clinker) as well as poor clinker quality. This specially designed splash box has a wide opening and a specifically vaulted dispersion plate inside the splash box to ensure homogenous dispersion of the meal across the entire cross section of the riser duct, thus avoiding a pressure drop normally caused by conventional dispersion plates. A TEC’s Splash Box is easy to install, maintenance-free and durable.